(Newser) – American journalist Austin Tice—believed to be the only US reporter held hostage anywhere in the world—was captured in Syria in August 2012. Since then, US hostages James Foley, Peter Kassig, Kayla Mueller, and Steven Sotloff have been killed, and their families fear Tice's parents will soon have to share in their heartbreak. "We are four families bonded together by tragedy and terror," they write in an open letter to Obama at McClatchy. 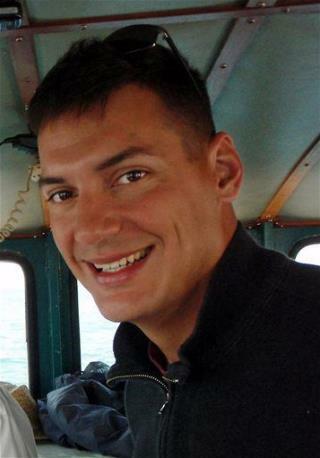 "But there is something that still can be done: Bring Austin Tice safely home." I'm sorry to say this but the only really shocking thing about this all is that these paid, idealistic "suicide watch" reporters have families and people that care and can't do anything to help them. Can God, if he exists? Our president and "powerful political puffball" government certainly isn't. So he gambles for a pulitzer prize or some crap, and we have to go in and get him when he knew the risks? Sorry, the ball landed on double aught. You lose. You said. I hate to tell these folks but Obama "said" a lot of things that aren't/weren't true.